This listing is for custom orders and options not listed elsewhere in the shop. I use this listing for unique leathers and options you see me post on Instagram. 1. Send me a message to work out details and price. 2. 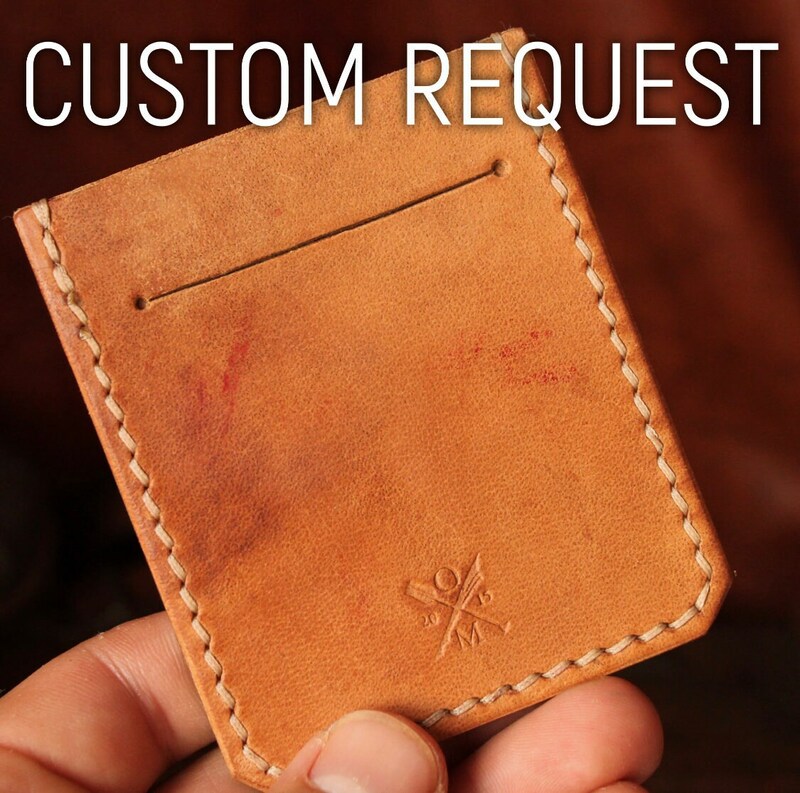 Once we agree on the item, purchase the "custom wallet" option and corresponding dollar amount. 3. Please leave a detailed note while checking out including leather and thread colors as well as any other important info such as stamps or lettering. I asked for a shell cordovan Topsider Quickdraw 2 in whiskey and green. The model and leather aren't available via the Etsy store, but that wasn't a problem. The item is even more beautiful than I expected. Wonderful work, very easy to communicate with. Thanks guys! Mr. Bluth delivers again! This is my fourth wallet in as many months! I had a ton of questions for this order and he answered them all promptly and was very accommodating to my requests. The final product came out better than I expected will definitely be ordering again.